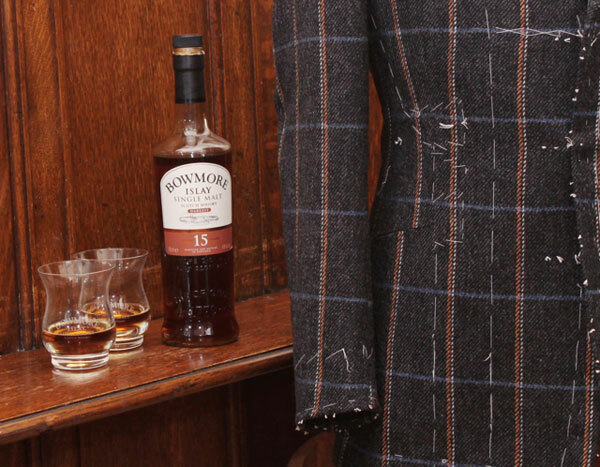 Bowmore, the first Islay Single Malt whisky is collaborating with esteemed Savile Row tailor, Malcolm Plews to create Bowmore Tweed Savile Row Experience. This is the ultimate premium Christmas gift set whereby buyers will be fitted with a Bowmore tweed jacket together with a one-to-one whisky tasting with an expert. This ideal gift package also includes first class travel to London from anywhere in the UK, a night’s stay for two at the Malmaison Clerkenwell, and lunch for two at the undeniably chic Sartoria restaurant, Savile Row. A bottle of Bowmore 15YO and whisky glasses complete the package and are issued to the recipient with details of the package just in time for Christmas day. 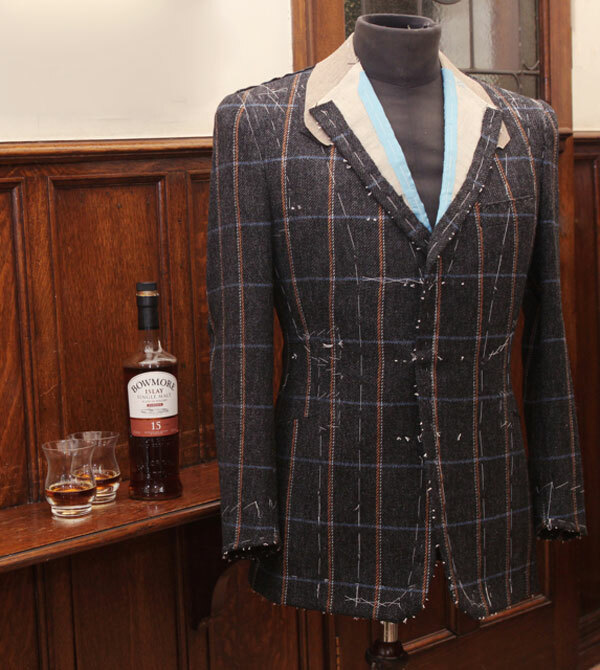 The Bowmore Tweed Savile Row Experience is available from www.singlemaltwhiskyshop.com at £3,000 ($4,680). With over 40 years experience, Malcolm Plews is renowned for creating products of the highest quality and craftsmanship. Positioned in the heart of Mayfair, central London, Savile Row tailors have long epitomised the well-dressed man. Malcolm fits and cut all his suits on the premises. Each jacket will take two fitting sessions to complete. Bowmore Tweed Savile Row Experience, the ultimate luxury Christmas gift for the Single Malt whisky drinking gentleman.